You may or may not have already heard of Edgar’s Wright’s upcoming film Baby Driver, but now would be a good time to buckle up. Wright, whose director credits include Hot Fuzz and Shaun of The Dead, has mentioned that his upcoming film has an emphasis on music. 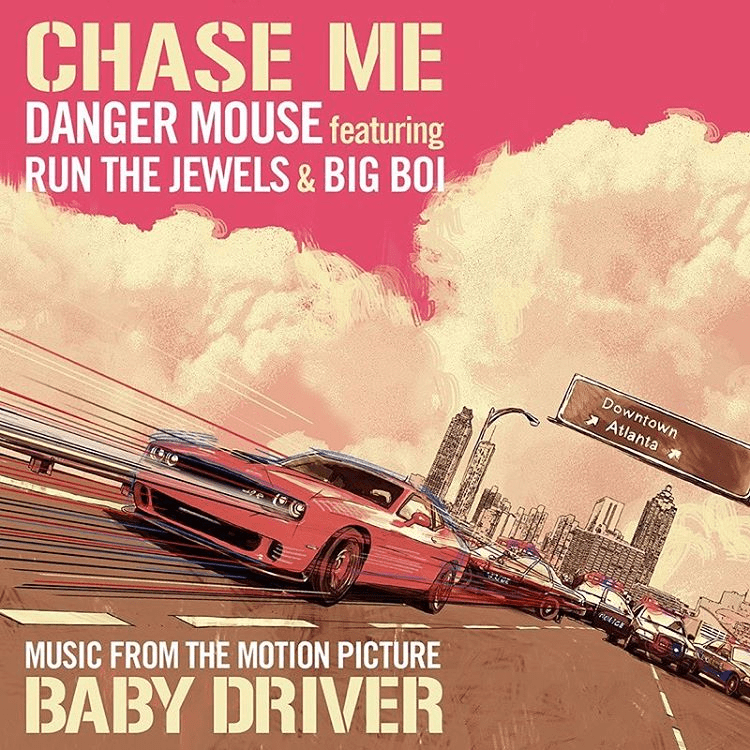 “Chase Me” by Danger Mouse features Run The Jewels and Big Boi, and it’s really a perfect match for a summer action flick involving the driving of fast cars and the robbing of big banks. “Chase Me” was purposely created for Baby Driver, and the aggressive attitude and confident vocals of RTJ and Big Boi sound right at home on the beat, which is driven by samples of “Bellbottoms” by The Jon Spencer Blues Explosion. Based on the trailer, the carelessly cocky lyrics match the bravado of some of the film’s characters. It’s not uncommon for artists to produce music solely for movies, and every now and then a song made for a film is suitable for the purposes of the movie, but not incredible on its own. The lineup on this track is pretty serious, though. It’s nice to watch artists receive exposure by providing music for feature films. I wonder how film directors ask for tunes? Maybe if enough rappers send their mixtapes to Steven Spielberg he’ll use one in a movie. Listen below to “Chase Me” and resist the urge to speed.